But in 1932, he said he wanted to stop painting “pretty girls on rocks” and paint things that made his heart sing. So he started painting landscapes. 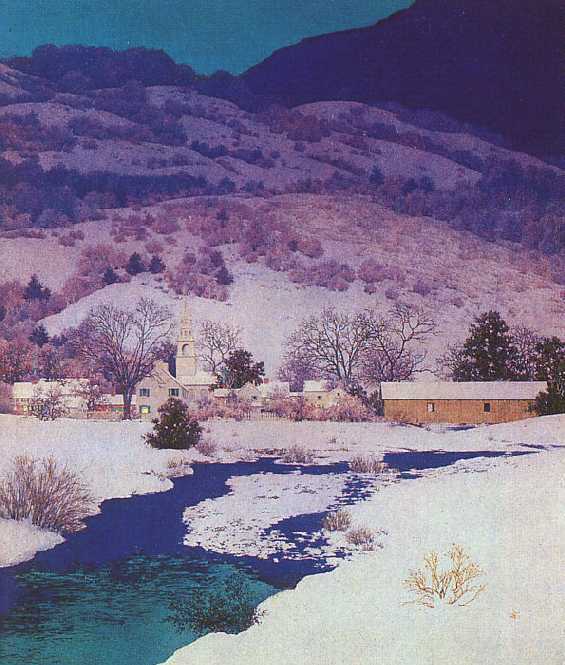 They were of New Hampshire and Vermont scenes, like his Christmas Eve painting above, and I find them quite beautiful. 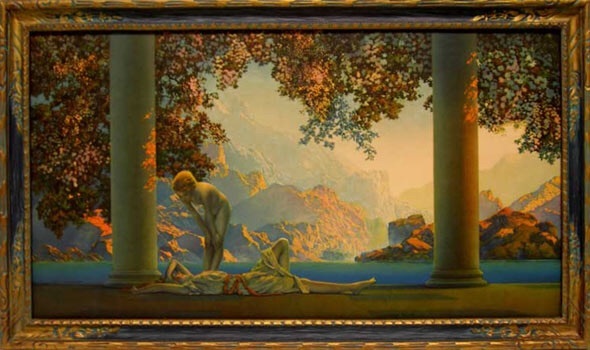 If you drive down along the NH side of the Connecticut River, on Route 12A from Lebanon to Plainfield and Cornish, you are on New Hampshire’s Maxfield Parrish Highway. And wherever you are tonight, and tomorrow, whether on a visit with friends or relations, or safely tucked in at home, I hope you have a very Merry Christmas. And keep your eye out for whatever makes your heart sing. Lovely post. And the same to you, my friend. Thanks so much, Jeni. See you in January! That was lovely, Mary Jane, Merry Christmas to you. Thank you, Lynn, Merry Christmas to you! Beautiful! Merry Christmas to you too Mary Jane! Thanks Dana, have a happy Christmas! Same to you. 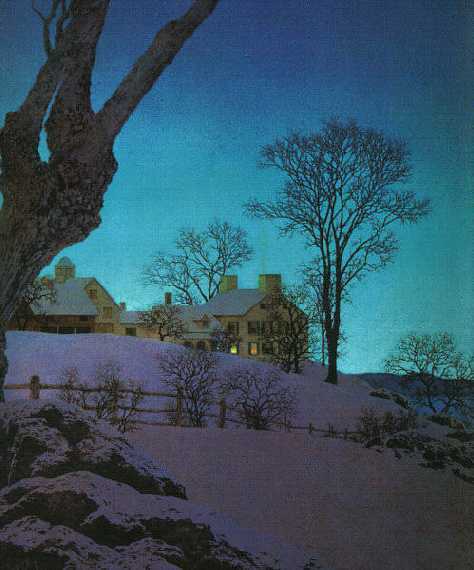 I’m going to link to this blog post from my blog; I’m a huge fan of Maxfield Parrish and his landscapes. Thanks for posting this.